The delicate grace and uninhibited warmth of wood is succinctly composed into a choreography of space, surface and light in the Timms Bach. 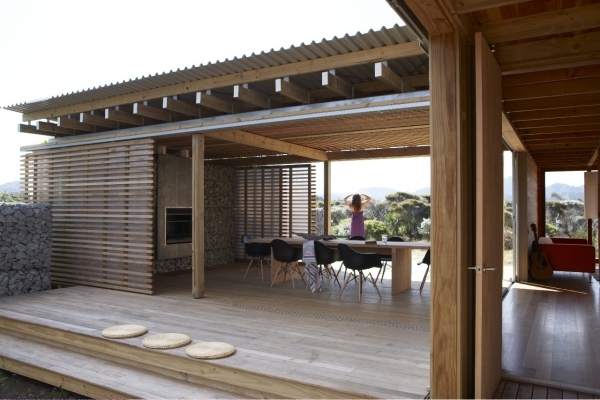 Herbst Architects use local materials and timeless sensibilities to draw out this inspiring, award winning spacious wooden house on the Great Barrier Island, New Zealand. 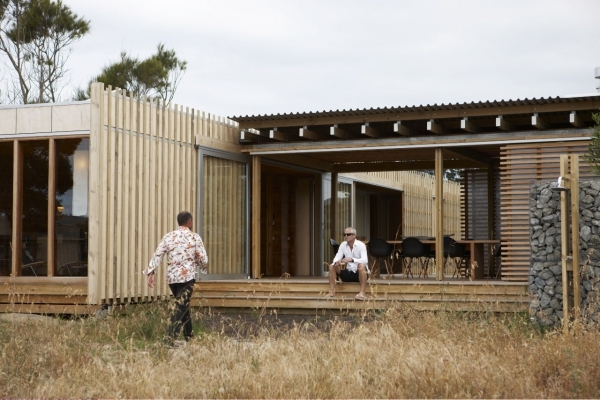 The Timms Bach (‘Bach’ is the local Kiwi word for a typical, modest beach house) is designed as a transparent, open planned space with subtle veils separating it from its surrounds. 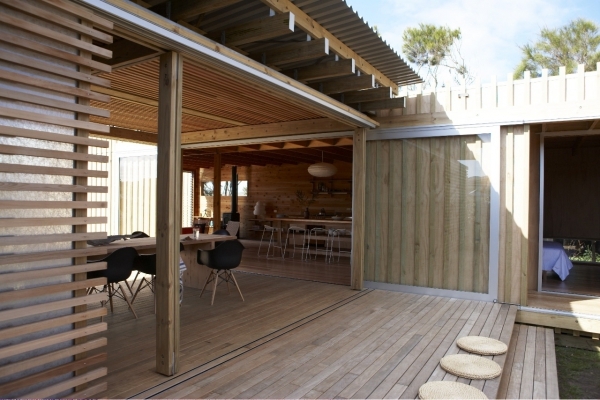 Agile timber sections and generous glazing come together in a play of polarities to articulate the exterior membrane that beautifully dances natural light off itself while establishing the necessary privacy. 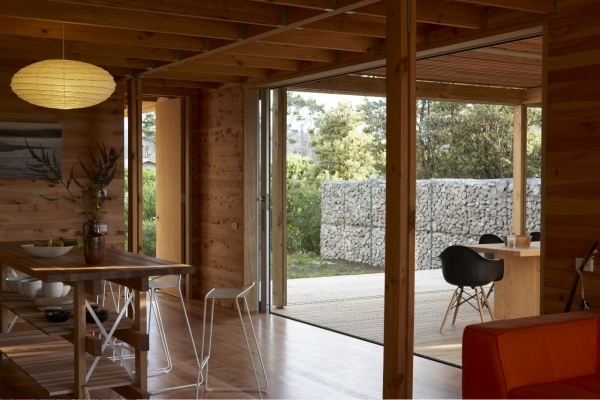 Sliding walls allow this spacious wooden house to be readily opened up to the outside and adapt the interiors to varied use. 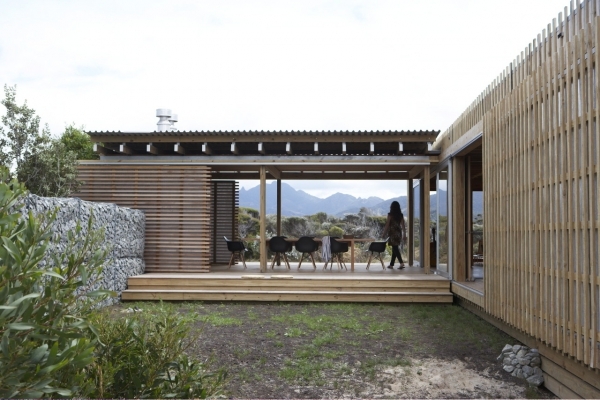 Native quarried rock wall and sun-bleached timber lend a crisp, hard wearing definition to the facade and anchor the building into its context. 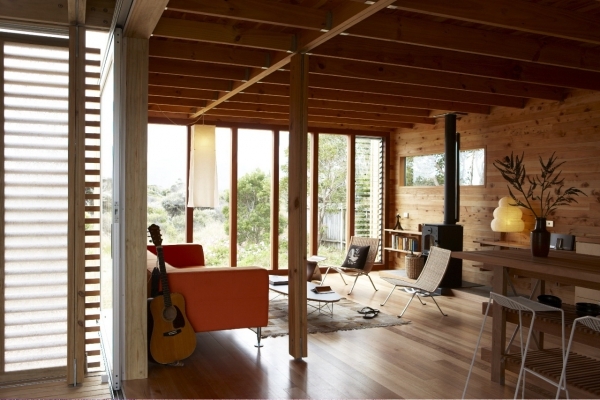 The insides rise out of a sea of warm wooden textures and smooth, natural finishes- subtly varying in scale to create a functional gradient within the Bach. The striated vocabulary of the facade finds gentle expression in the furniture and decor, enunciating the style and identity of this Bach at every level of its design. 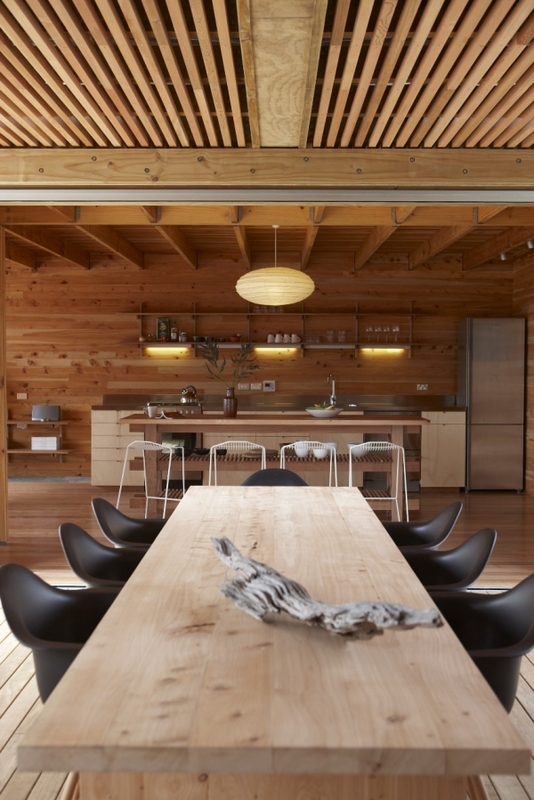 Through material and scale, Herbst Architects bring a special flair and warmth to this spacious wooden house.